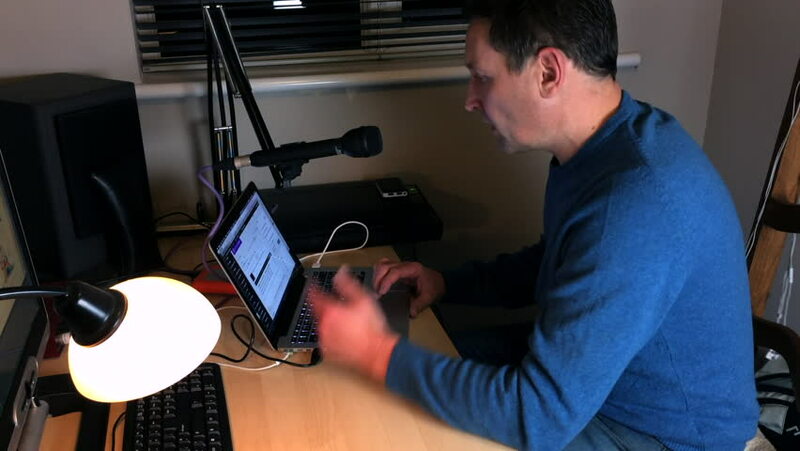 A man working as a podcaster from home in a home office / studio, typing quickly on a laptop computer and preparing a podcast or explainer video. hd00:46Man polishing new black car. Creating perfect glance. hd00:15A computer programmer or hacker busy at work surrounded by streaming code on screen, ISDN and broadband connections and disk drives and wires wearing a balaclava to disguise face.